50 Puzzles around the world will suddenly appear! 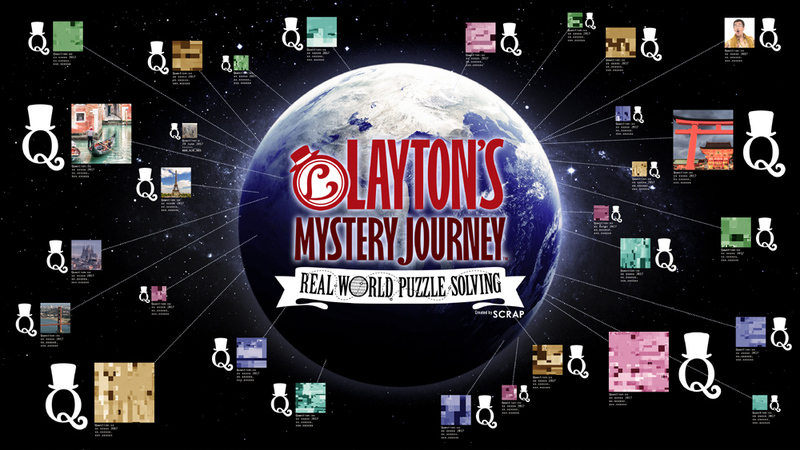 Work with Layton fans around the world to solve these puzzles! 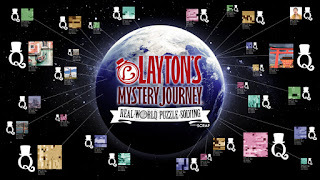 LAYTON’S MYSTERY JOURNEY: REAL WORLD PUZZLE SOLVING will be held over a 3-month period, between June 20th (Tuesday) and September 21st (Thursday). Starting in Japan, the event will continue taking place in nine other countries. A total of 50 puzzles will appear in famous locations throughout these 10 countries and online. The inaugural puzzle will be presented today by Pikotaro, creator of the viral song “PPAP (Pen-Pineapple-Apple-Pen)”! It’s easy to join! Enjoy solving puzzles on the internet. No registration required! Participate in the REAL WORLD PUZZLE SOLVING adventure by going to the official website. To join, simply search for “layton.world”! Neither registration nor download will be required to try your hand at puzzle solving! * You can save your answers, connect with people around the world, and maximize your puzzle-solving experience by optionally linking your Google or Twitter account. Investigate with detectives globally in your native language via the real-time translation system “TRANSLAYTON”! Uncover hints with people from around the world. The TRANSLAYTON system was developed to bridge international divides by enabling people to chat regardless of language in real time and share puzzle information. Utilizing the speed and accuracy of Google Translate’s AI, a myriad of languages will be instantly translated into your preferred tongue. Pikotaro’s enigmatic song will kick things off! Puzzles will pop up in Tokyo, London, and other cities! A giant object will appear in Shibuya followed by other mysterious happenings at Waterloo Station and other locations. These puzzles will transcend borders and unfold in various places worldwide. A puzzle panel will appear in a popular spot where tourists take pictures of the gorgeous Golden Gate. Following the Japanese 3DS release and global mobile versions’ launch on 7/20, LAYTON’S MYSTERY JOURNEY: Katrielle and the Millionaires’ Conspiracy will come to the rest of the world on the Nintendo 3DS family of systems early fall 2017. Players can then enjoy Katrielle’s story on a traditional video game system as with the previous titles in the series. To learn more about LAYTON'S MYSTERY JOURNEY: Katrielle and the Millionaires' Conspiracy visit laytonseries.com and follow us on Facebook, Twitter, and Instagram (@LaytonSeries). NY Asian Film Festival Lineup!